No matter what your price range, HD Diapers offers a subscription to fit your budget. You pay $29.95 now for one month of unlimited access. Membership automatically renews every month until you cancel. Can be cancelled at any time. You pay $59.85 now for 3 months of unlimited access. Membership automatically renews every 3 months until you cancel. Can be cancelled at any time. You pay $99.00 now for 6 months of unlimited access. Membership automatically renews every 6 months until you cancel. Can be cancelled at any time. 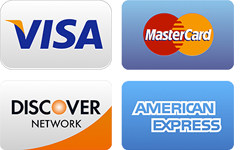 HD Diapers accepts payments via credit card, debit card, and direct debit. Prices shown here are in US dollars, the exact amount you pay may differ if you use a different currency. The precise payment amount will be shown to you at checkout. Not all payment types are available in all locations and some subscription options are not available for all payment types.